Max Peezay recently released his album “Boven i dramat” , the album continues with the dark grimey sound of “Discokomittén” but also contains elements of Drum’n’ Bass and Dubstep. The first single (also called “Boven i dramat“) featured a more regular hiphop-sound than what some, at least I, was used to. The second single, “#1″, which features Ears brings a more drum’n'bass influenced sound. The video is directed by Jonas Embring. 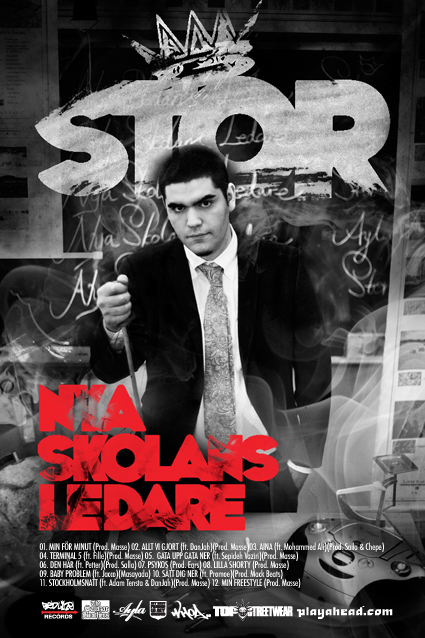 If you haven’t bought “Boven i dramat” already i strongly advice you to order it from here! This entry was posted in Nyheter and tagged #1, Boven i dramat, Diskokommittén, Ears, Jonas Embring, Max Peezay on May 26, 2009 by Daniel.